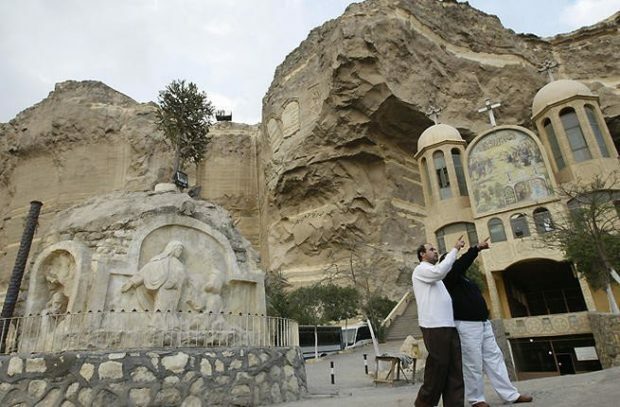 BCF : CAIRO (AP) – Egypt’s Coptic Orthodox Church says a bishop has been found dead inside a monastery in the desert northwest of Cairo. Bishop Epiphanius is head of Anba Makar Monastery near Wadi el-Natroun in coastal Beheira province. The church did not elaborate on the circumstances surrounding his death on Sunday. Security officials say Bishop Epiphanius’ head was smashed and there were injuries to his back. The officials spoke on condition of anonymity because they were not authorized to brief media. Christians constitute around 10 percent of Egypt’s predominantly Muslim population. Sectarian violence erupts occasionally, mainly in rural communities in the south. Egypt’s Christian minority has been targeted by Islamic militants in a series of attacks since December 2016 that left more than 100 dead and scores wounded.